With the intense pressure placed on sales leaders, it’s not surprising that their average tenure is brief – and getting briefer. 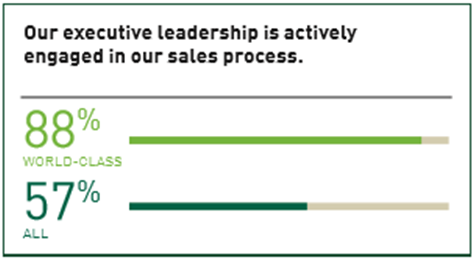 Studies show that many sales leaders now average 18 months to two years at one company. Given this reality, chances are you are either new to a sales leadership role or will be in the next few quarters, whether through a promotion or a new position with a new company. Moving into this role can be as exciting and rewarding as it is difficult. Whether this is a challenge you currently are facing or a position you aspire to reach, MHI Global encourages you to review the areas we consider most critical for sales leaders to focus their attention on during the early stages of a sales leadership role. Our research has demonstrated that sales leaders at world-class sales organizations have a considerably longer tenure and tend to engage in a “discovery process” during the first 90 days with their new company. During this time they ask a lot of questions and do a lot of listening. They gain insights into their employer’s strategic objectives, customers and deals, procedures and norms, corporate structure and strategies, leadership and teams.